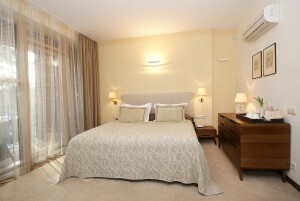 The guest house offers 2 apartments and 6 double suites. The guest house is capable to accept 22 guests at a time. Moreover, there is a possibility to join neighbouring rooms together and therefore we can offer an ideal rest for families. Pastel colours prevail in every room that give the feeling of peace and comfort. 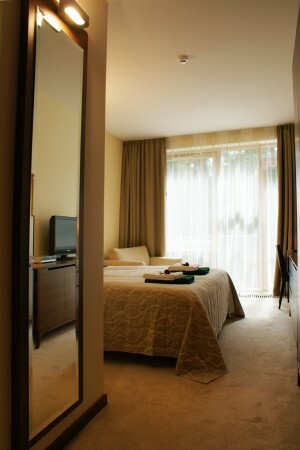 According to a special and individual project, the furniture of the style of 60’s was made for the guest house. 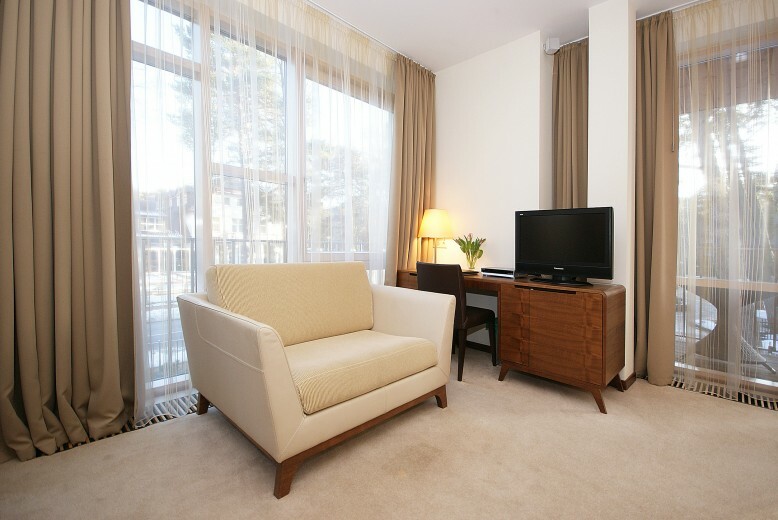 Impressive combination of oak and ash creates an impression of elegant and stylish luxury which is enhanced by lightness of curtains and softness of sofas, armchairs and carpets. Comfortable beds with special mattresses and bedding from natural fibre will allow you to plunge into profound and peaceful sleep. All rooms are equipped with satellite TV, wireless internet operating 24 hours per day, telephone, radio, conditioning system, mini bar and safe. 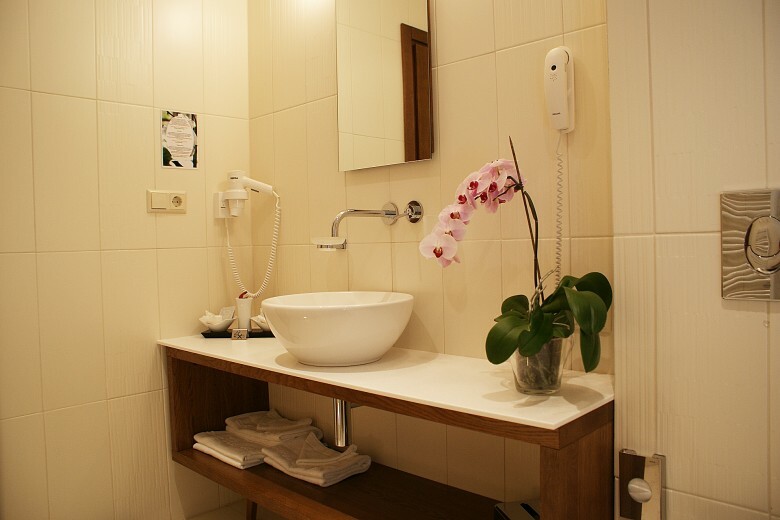 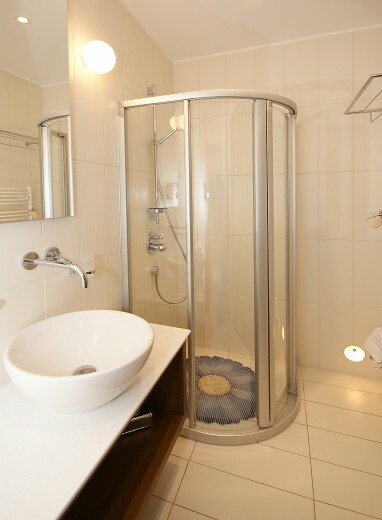 Excellent bathrooms (shower cabins in suites and baths in apartments) offer you not only the heated floor, qualitative “Wilerroy & Boch” bathroom ceramics, hair dryer, telephone, but also many pleasant things and all products for personal hygiene. 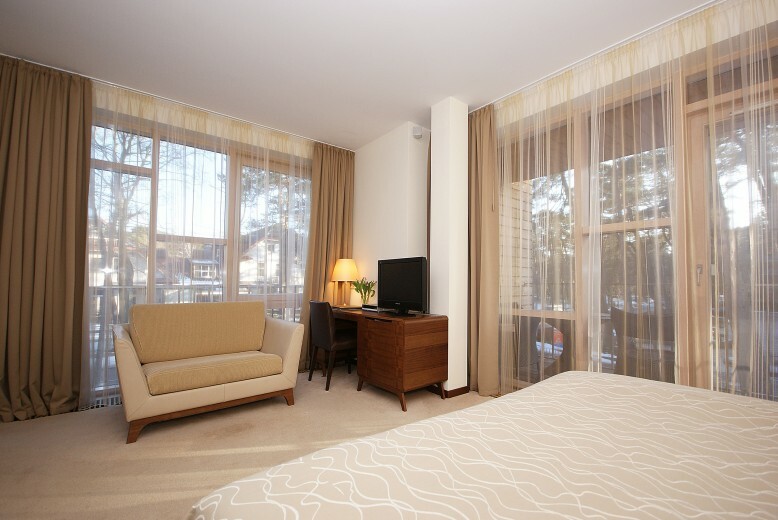 The offer is valid 2019 April 1-30. 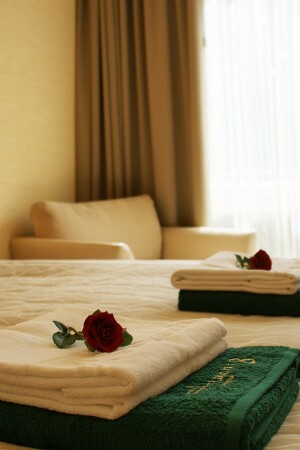 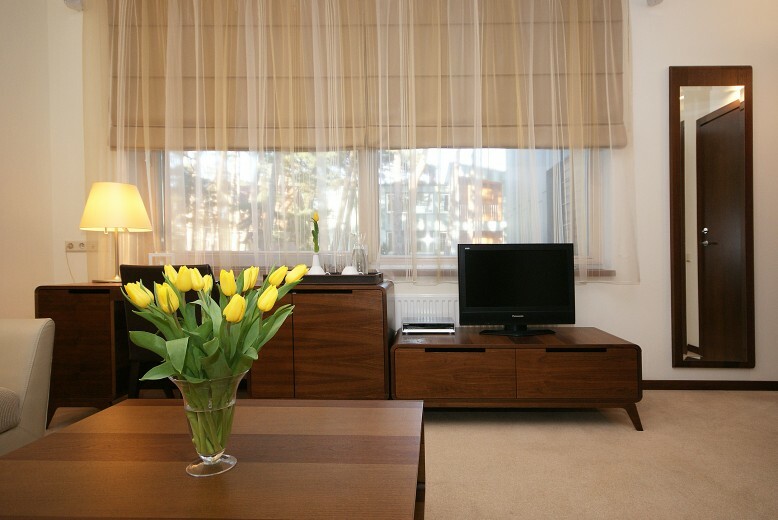 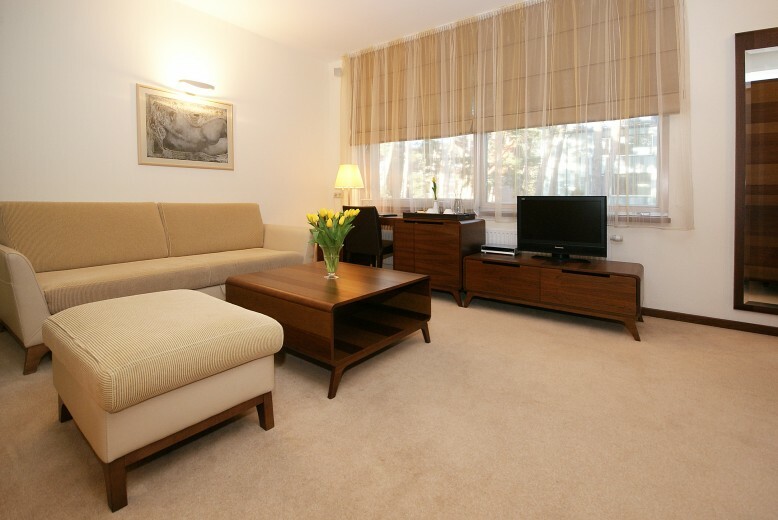 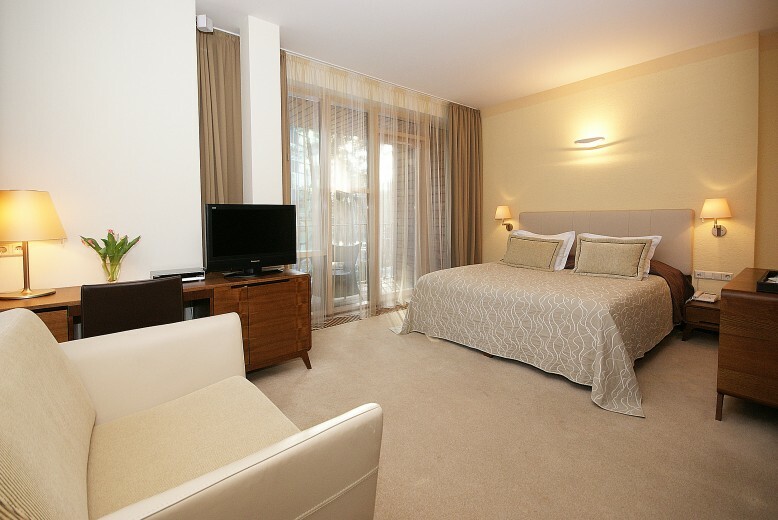 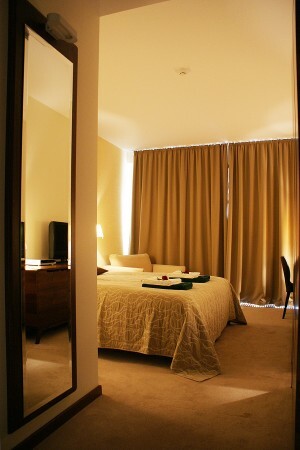 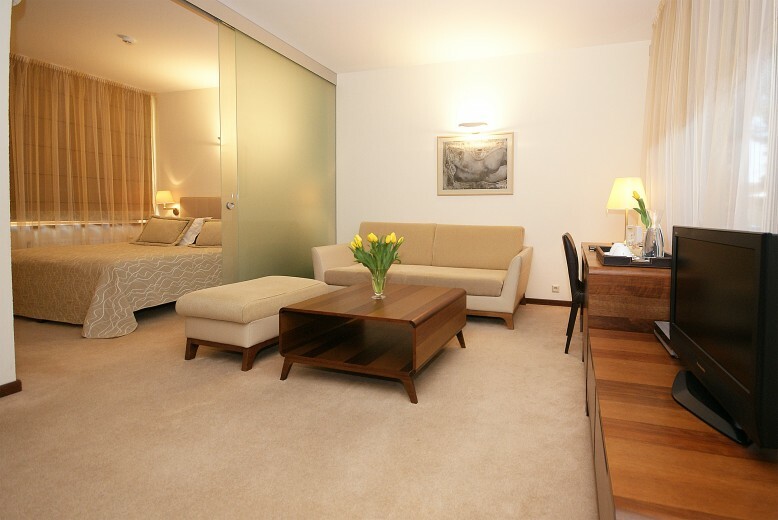 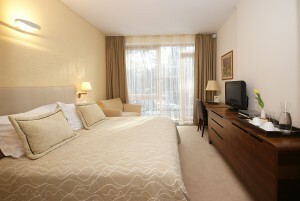 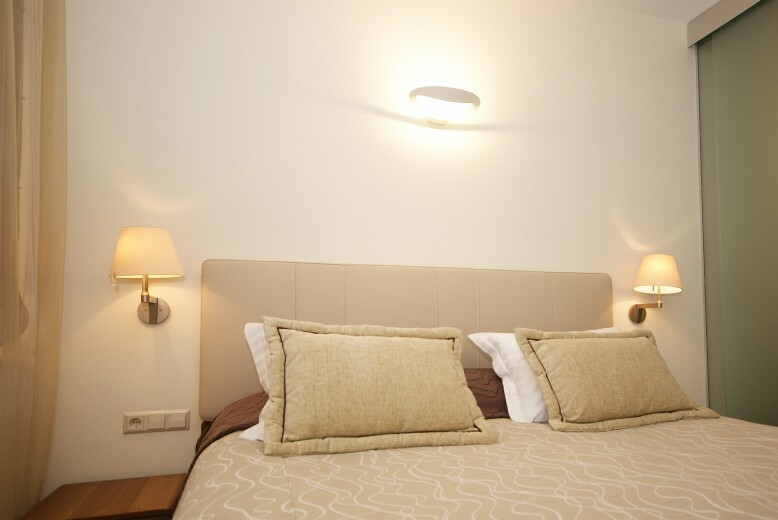 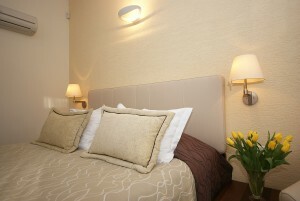 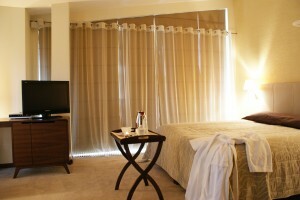 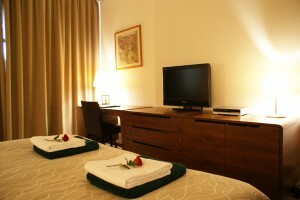 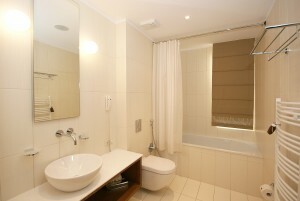 - Deluxe Suite for 2 persons - 125 EUR per night. 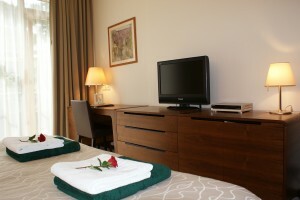 Sauna and Jacuzzi from 8.00 to 14.00 h.
For your convenience there are TV, wireless internet and telephone in all rooms. 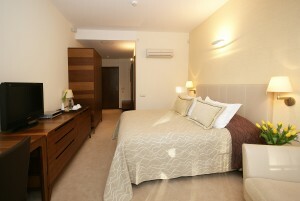 with additional bed - 30 €.